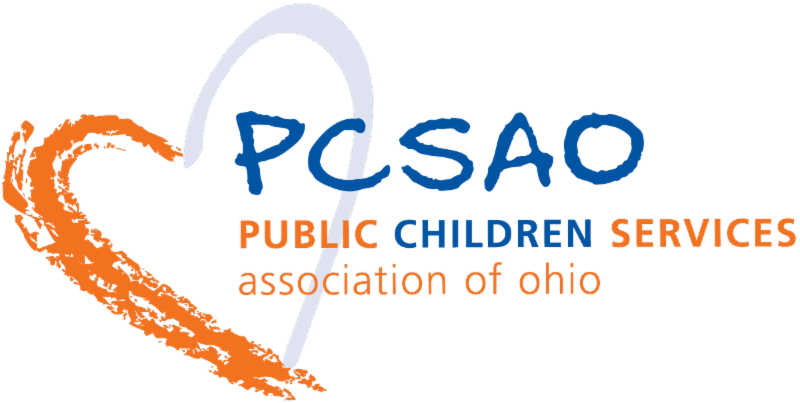 The Public Children Services Association of Ohio (PCSAO) will release its 14th annual PCSAO Factbook at the end of March. The publication, the only one of its kind, details the current environment of children services in Ohio and each of its counties. In this edition, the data show an increase of children coming into care, creating a compelling story of why we must support greater investments in child welfare.The PCSAO Factbook is intended to be used as a resource for policy makers, agencies, interested parties, and the media alike. PCSAO works with county agencies and ODJFS to gather the most accurate and updated data concerning the state of children services. The Factbook details the work and priorities of PCSAO, member agencies, and partners, which focus on resolving some of the biggest issues in children services today. Issues including the opioid crisis, an overburdened workforce, inadequate resources, and lack of foster homes have led to the current system crisis. This crisis is explained throughout the narrative, with PCSAO priorities specifically set as solutions to the crisis. Following the Factbook narrative, readers can find state and county profile pages. These pages include the number of reports made, types of reports, demographics, and other case data that help describe and quantify the scope of children services. Furthermore, these pages provide a deeper look into fiscal information and costs that each county agency incurs. For more information, or to check for updates and view the last Factbook, visit here . On March 11 the Ohio START Cohort 1 counties met at the Ross County Service Center for the quarterly southern consortium. Ohio START staff gave counties program updates, and shared its excitement with Governor Mike DeWine's announcement to invest in the START program in the upcoming budget. National partner Children and Family Futures also presented counties with technical assistance and answered questions. Counties will meet next at the first annual Ohio START Summit, planned to take place June 4. On March 12-13, counties involved in Cohort 2 of Ohio START received training and technical assistance regarding the final steps and strategies for full implementation of the program. Children and Family Futures presented the training and helped counties work through challenges they may be currently facing. Cohort 2 counties are now starting to serve families, or are due to start very soon. PCSAO was asked to present March 11 before the Citizen Review Panel based in Franklin County, which is looking at child safety through the lens of the children services workforce. PCSAO shared figures about the total workforce, turnover, and caseloads, along with supports such as the Ohio Child Welfare Training Program, University Partnership Program, and National Child Welfare Workforce Institute. Local efforts to reward, incentivize and develop the workforce were also shared. All CRPs will be finalizing their 2019 reports this summer. At its monthly meeting March 13, the Ohio Child Welfare Training Program State Steering Committee heard updates, reviewed targeted marketing videos designed to improve the ITNA/IDP process, and learned about casework practice updates for CAPMIS and SACWIS. Partners are busy preparing for the annual trainer conference April 8. Rules in pre-clearance: As of March 15, no rules were in pre-clearance. Rules in Clearance: Make comments here. Substitute Care rules in Chapter 5101:42 are in clearance until March 22 as a result of the five-year review. You can review the proposed changes here . Rules for recording a child fatality or near fatality are in Clearance through March 28. The new rule 5101:2-33-14 entitled "PCSA requirements for recording a child fatality or near fatality" sets forth the requirements of recording a report of a fatality or near fatality of a child in the custody or the care of the PCSA due to child abuse and/or neglect. The amended rule 5101:2-42-89 entitled "Private child placing agency procedures when a child in agency custody dies" sets forth the requirements of PCPAs to have written policies and procedures when there is a child fatality or near fatality. The rule has been proposed for amendment to adhere to the five-year rule review and the requirements for PCSAs have been removed from this rule as a new rule is being proposed to address PCSA requirements for recording a child fatality or near fatality. Rules regarding education and training requirements for caseworkers and supervisors are in Clearance through March 26. OAC 5101:2-33-55 entitled “Education and in-service training requirements for PCSA caseworkers” sets forth the training requirements for public children services agency child welfare caseworkers. This rule is being reviewed as a result of the five-year rule review process. The rule is also being updated to include changes to the training requirements for PCSA caseworkers on human trafficking and to comply with the training requirements defined in the Ohio Revised Code regarding training for public agency child welfare caseworkers. OAC 5101:2-33-56 entitled “In-service training requirements for PCSA supervisors” sets forth the training requirements for public children services agency supervisors. This rule is being reviewed as a result of the five-year rule review process. The rule is also being updated to include an introductory course in human trafficking for newly hired PCSA supervisors within the first two years of the date of hire (effective with this rule). The rule is also being updated to comply with the training requirements defined in the Ohio Revised Code regarding training for public agency child welfare supervisors. Filed with JCARR: The following rules were final-filed on March 14 and will be effective on May 1. Click on the rule number to go to the Register of Ohio website for details about the rule filing. On March 15, Governor Mike DeWine released his proposed budget for state fiscal years 2020-2021. Budget details are available on the Office of Budget and Management website . 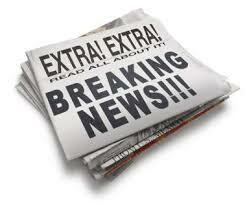 PCSAO remains grateful to the Governor for the significant investments proposed for children services. Budget analysis and updates will continue through June 30. Gov. Mike Dewine presents his 2020-2021 biennium budget to the Ohio General Assembly today (Friday), and children's advocacy organizations say they are pleased the governor is living up to his promise to invest in services that help neglected and abused children. Comments from Angela Sausser, executive director, Public Children Services Association of Ohio. A recent study shows that 53 percent of Ohio's children's services caseworkers have PTSD symptoms. That compares with national incidences that range from 35 percent to 75 percent of child-welfare staff. Ohio is planning an intervention strategy to prevent and lessen the effects of burnout, secondary trauma and disengagement among caseworkers, said Angela Terez, a spokeswoman for Ohio Job and Family Services. The state is urging more people to become foster parents to meet the growing need for safe places for abused and neglected children. Butler County has found a unique way to recruit foster families, one that doesn't just convince people to take kids in, but offers a host of supports to ensure they'll be successful. The number of Portage County children removed from their homes because of parental substance abuse is nearly twice the state's average, the county's director of job and family services said recently. Kellijo Jeffries, director of the Portage County department responsible for providing care for displaced children, said between the years of 2012 and 2018, more than 50 percent of the number of children in foster care were there because of the substance issues that their parents face. As the first associate director of the Public Children Services Association of Ohio, I saw firsthand the st ruggle our child-welfare agencies and their dedicated staff were going through to protect and put back together the lives of children. On Thursday, Mike DeWine told members of the Public Children Services Association of Ohio: “I have waited a long time to do this.” The Governor pledged as a candidate to make a substantial investment in children services, and now he was unveiling the commitment he would make in his first two-year state budget proposal -- a virtual doubling of funding to $151 million per year. The Family First Prevention Services Act passed as part of the federal Bipartisan Budget Act of 2018. It changes how federal Title IV-E and Title IV-B funding of the Social Security Act, can be used. Governor Mike DeWine has proposed a 95-percent increase in Ohio's investment to children services. Marilyn Pape works for Trumbull County Children Services. In addition to state funding, the county agency also has community support through a levy. However, with the rising number of cases and children needing temporary placement, these dollars are not cutting it. Home visits, which involve either community health workers, nurses or social workers paying visits to mothers during pregnancy and up to two years after the birth of a child, have been proven to help reduce infant mortality and to improve the health of both mothers and their children. Looking for a career in child protection? Or a new position to challenge yourself? Check out the latest job openings in child protection . UPP graduates seeking employment at a PCSA are listed on our website. "The best and most beautiful things in the world cannot be seen or even touched--they must be felt with the heart."